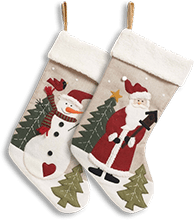 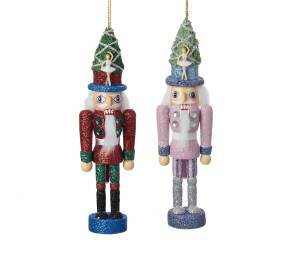 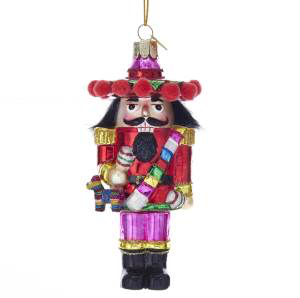 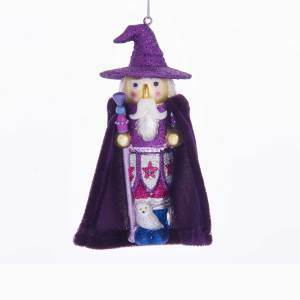 This nutcracker ornament is wearing a red, gold and pink outfit with an ornately decorated sombrero. 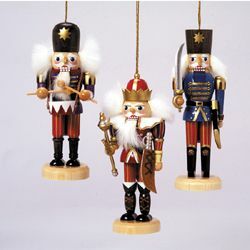 He is holding maracas and a piñata in his hands. 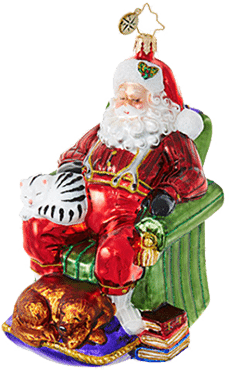 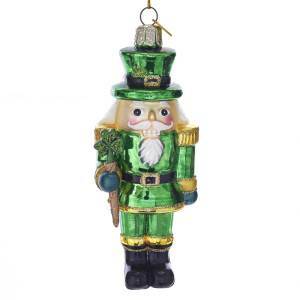 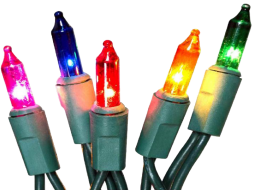 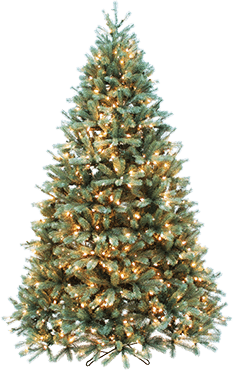 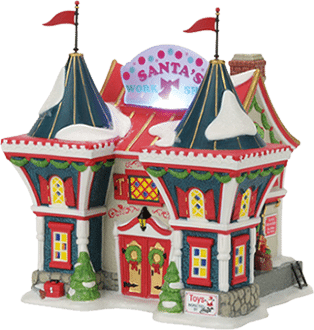 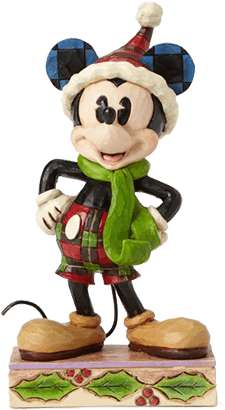 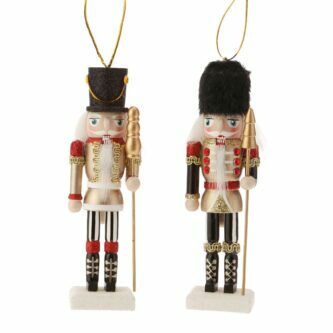 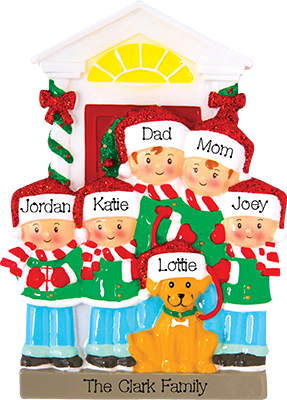 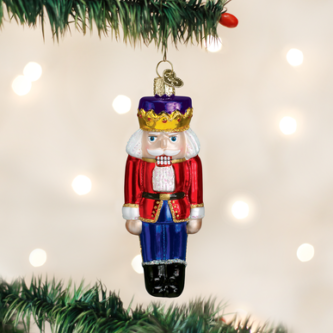 Nutcrackers were first carved by commoners as a joke because it was considered fun to make a little wooden king or soldier do the menial work of cracking the tough nuts. 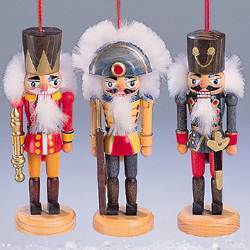 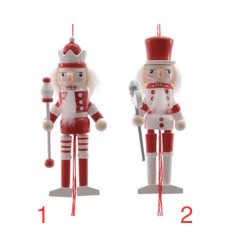 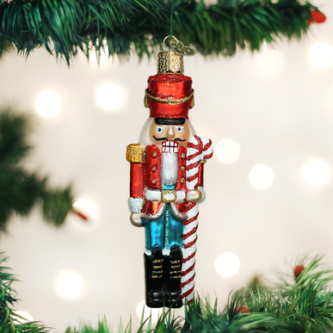 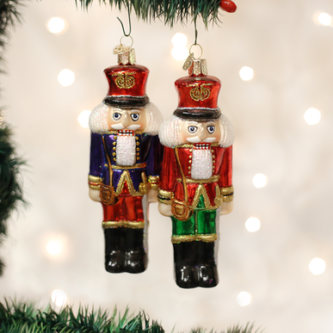 Today, nutcrackers are often associated with the Christmas holidays due to their whimsical nature and the popular Nutcracker Ballet.